KGI Securities analyst Ming-Chi Kuo (via 9to5Mac) believes that Apple will launch two new OLED iPhones next year. Apple could launch two OLED iPhones next year, according to KGI Securities analyst Ming-Chi Kuo. It’s been less than a week since Apple started selling the iPhone X in the market, but new leaks have already started to surface concerning the second-generation device. KGI Securities analyst Ming-Chi Kuo (via 9to5Mac) believes that Apple will launch two new OLED iPhones next year. Both phones are said to feature the same stainless steel frame as seen on the iPhone X, but the company is said to have made some small changes to support better data transmission. At the moment, Apple’s flagship iPhone line currently consists of three smartphones: iPhone X with an OLED panel, and the iPhone 8 and 8 Plus with an LCD display. Given the high interest in the iPhone X, Apple could possibly launch the flagship phone in two sizes in 2018. It is a strong possibility, though it remains to be seen if we’re going to see the successors to the iPhone 8 and 8 Plus next year. While the two OLED iPhones will see upgrades on the spec side, don’t expect a rear-facing version of the TrueDepth Camera in 2018. The analyst expects the TrueDepth camera system is going to remain exclusive to the front of the iPhone. Face ID is also expected to feature on the upcoming iPad Pro, which arrives next year. Kuo made this prediction last month. iPhone X has been Apple’s first iPhone to feature an OLED display. Just last week the device went on sale and it was declared sold out worldwide. It’s the most expensive iPhone yet, still the demand has been sky high. There are two variants of the iPhone X; one with 64GB internal storage and the other with 256GB storage. 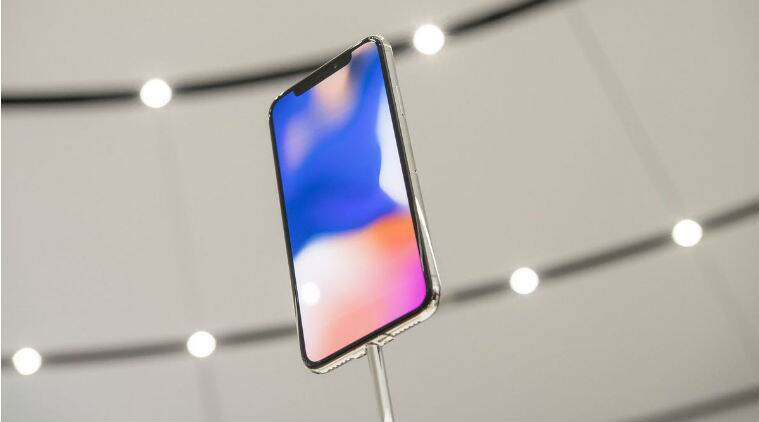 Apple iPhone X costs Rs 89,000 for the 64GB variant, while the top-end version with 256GB storage is priced at Rs 102,000.